We use Winchester Hospital as our primary pediatric hospital. If you deliver at Winchester Hospital, one of our Dowd Medical Pediatric Providers will come by the morning after you deliver to examine your baby and to speak with you. We come in each day that you and the baby are in the hospital. If you deliver at another hospital, the hospital will provide you with a staff pediatrician to examine the baby after birth. We will pick up your child's care after discharge from the hospital but feel free to call us with any questions even while you are still in the hospital. If you need Pediatric Emergency Care, Winchester Hospital Emergency Room is staffed by Board Certified Emergency Room Doctors and by Pediatric Emergency Room Physicians from Children's Hospital, Boston. If your child needs to be admitted to the Winchester Hospital after consultation with the Pediatric Emergency Room Physicians, our providers will care for your child's ongoing in-hospital needs. 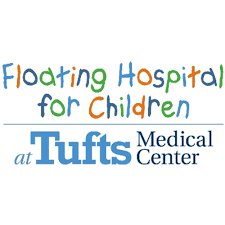 We have all practiced and/or trained in the Boston Area long enough that we have relationships with pediatric specialists from all four pediatric Boston area hospitals and will guide you with that expertise regarding "who" to see for a particular medical issue.